In the example below, we have a single satellite image, but two different views. A satellite image is made up of several spectral bands. The first image (left) corresponds to what the naked eye sees from the satellite. 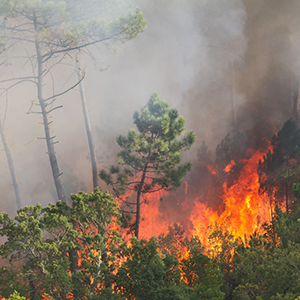 On the second image (right), the wise choice of spectral bands, which penetrate fine clouds, allows to see the ground clearer and the position of the different fire sites. 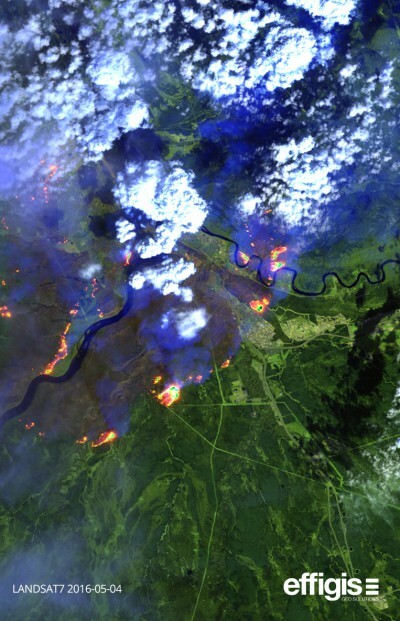 For a more detailed look, the high-resolution satellite images acquired in urgent mode can be used to plan and manage interventions during a natural disaster (forest fire, earthquake, flood). 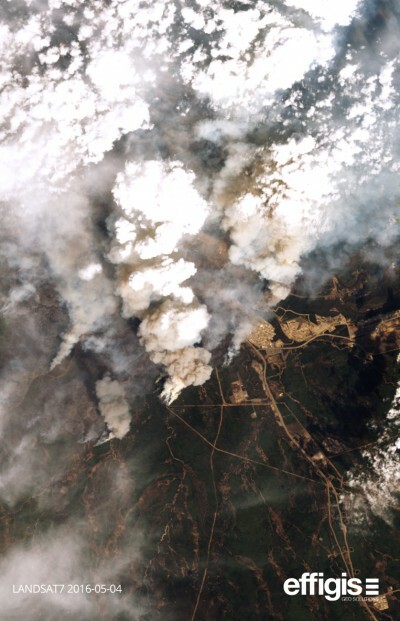 Images: Landsat-7, Fort McMurray (Alberta, Canada), May 4, 2016.